We strive to love our neighbors as ourselves and respect the dignity of every person. Indeed, we believe the Church is a fellowship in the love of God, whose mission is to be an ever widening sphere of an ever deepening reconciliation in the love of God. 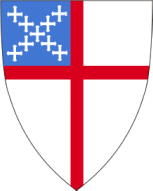 The Episcopal Church is part of the worldwide Anglican Communion, and traces its heritage to the beginnings of Christianity. Christ Church traces its own origins to a gathering in a home on Fair Street in 1744. Christ Church is a parish of the Episcopal Church in Connecticut. Our worship follows the Episcopal Church's Book of Common Prayer; as such, it connects us to the ancient structure and traditions of the Early Church. On Sunday, we gather for worship at 8 a.m. and 10a.m. We raise our voices in song using the 1982 Hymnal. Both men and women, whether married or single, are eligible for ordination as deacons, priests and bishops in the Episcopal Church. Over the altar in Christ Church, we see a stained-glass image of Jesus holding out a chalice in invitation with one hand and blessing with the other. We do our best to not get in the way of Jesus' invitation to Holy Communion. We uphold the Bible as the Word of God, "and to contain all things necessary to salvation." We affirm that marriage is a lifelong and monogamous covenant. Episcopalians also recognize that there is grace after divorce and do not deny the sacraments to those who have been divorced. We understand the Church's teaching about marriage to apply to all couples, without regard to sexual orientation or gender identity. All are welcome to find a spiritual home in the Episcopal Church; in Guilford.